Simply, I am an Aussie! An Aussie that doesn’t like to sit still. I have moved over 12 times in my life so that may explain my need to see, experience and dream of new places. When I am not travelling I am a high school maths and physics teacher, a superstar netballer and basketballer despite being 160cms tall, a candle making extrodinaire, a sports buff and a pizza, hot chip and butter chicken devourer. A sense of unknown! My first overseas travel did not occur until the ripe old age of 18. Since that time I have had an insatiable appetite for new places and experiences. I don’t ever expect this to change and hope to witness as much beauty as our planet has to offer during my lifetime. Oooh, and maybe even space if I live long enough. Honestly The Traveller’s Guide By #ljojlo started as a hobby as I am sure most blogs do. I wanted a space where all my travels were documented to share with my family but mainly with the children I plan to have one day. I hope to inspire them to see the world because travel can teach you a wealth of knowledge and compassion. How the name came about is another story. The #ljojlo came about on my first overseas trip with my partner, Jarrad. As we hopped, skipped and jumped from Australia to New Zealand we created the hashtag to document our journey. Simply, ljo are my initials and jlo is Jarrad’s nickname. Therefore this weird combination of letters symobolised us. Oh, and if you are wondering how it is pronouned we say it like this ‘la-joj-lo’. Now, The Traveller’s Guide By #ljojlo specialises in luxurious yet affordable couples travel. We hope to share our tricks of the trade with anyone who wishes to follow along on our journey. Finally, we have an exciting announcement to make later in the year so follow along and watch this space. As a full-time high school teacher the pay certainly helps with the costs of travel. I also don’t own property or have kids so the money I save is dedicated to myself galavanting around the world. I am also very proud to say I a top notch saver. When I put my mind to it I can save for whatever I want or need. Also, when travelling frequently you get to know the tricks of the trade to travelling on the cheap. This coupled with the epic saving I do helps me to travel essentially every school holiday break and/or for extended periods of time. I have just taken 6 months off to travel full time because it was a dream of mine and I had the funds to do so. Any way I can to be honest. I am not that fussy, however, if I had to pick my favourite way to travel it would have to be road tripping. I love the freedom you get when having your own vehicle to take off in any direction you wish. I have been known to flip coins to help with decisions about which way to turn ha ha. Due to loving a road trip I have been lucky enough to cruise around in Australia, New Zealand, the USA and also Chile, yes it is possible to road trip in Chile. I also have a road trip organised in a few weeks through Iceland and then the UK and Ireland. Super excited to say the least!! Hands down, Antarctica! It is out of this world while being part of our world. Its beauty, its ruggedness, its isolation and its nature make it the most incredible and special place. I honestly doubt any place will top Antarctica but hey I will keep looking. I have been so lucky to tick so many off already, however, here are my currently three: 1) Greenland – because I think it will be Antarctica and I am obsessed with the polar regions, 2) Bhutan – it looks incredible, isolated and did I mention incredible. 3) Siberia – who doesn’t want to visit the coldest habited town? Antarctica – as mentioned above. Inca trail – because I didn’t think I would be able to conquer it. However, I nailed the trail, it was incredible and it ends with Machu Picchu. Need I say more? 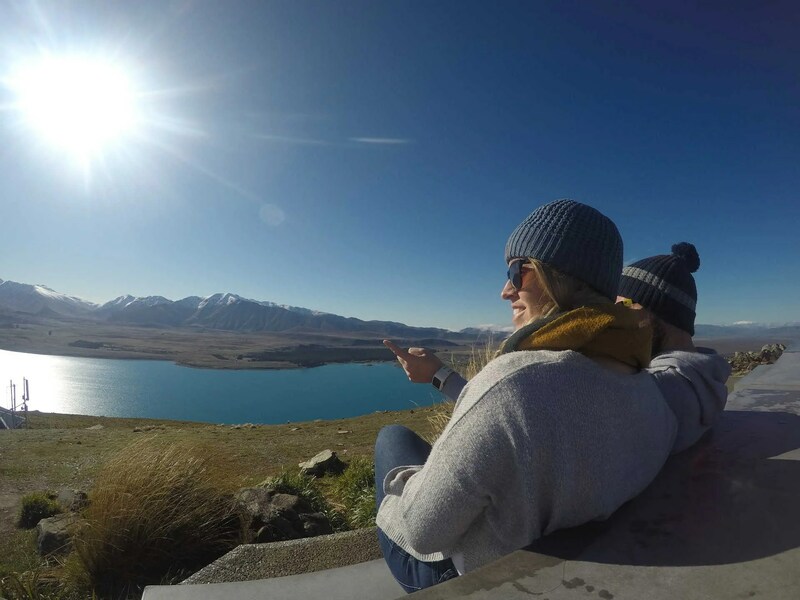 Road tripping New Zealand – the country is perfect for a great road trip. The infastructure for campers and beauty of the country make it one of my favourite trips. Helping a Vietnamese boy do maths – a special moment I shared with a young boy selling souviners on the streets of Ho Chi Minh city. A moment I won’t forget. Being on the first flight out of Amsterdam en route to Kuala Lampur after MH17. It is the only time I have been worried to fly. Other than that, touch wood, I have been so lucky while travelling.